Having Trouble Getting Into A South Beach Miami Clubs? Let’s face it, you may be cool and you may be pretty hot but that alone is not going to get you in the door at a South Beach Miami night club. If you want to get past the doormen then you are going to have to have the right connections at all the South Beach Miami clubs that you want to go to while you are in town. Don’t know which club is hot? No problem, that’s is why VIP South Beach was created. We have all the connections that you need and we are ready and willing to put them to use for you and your friends. You will be able to party in style and be in the right place on the right night with all of the hottest celebs that come to town for a bit of the high life. We will get you in the door at all the hottest South Beach clubs any night of the week. Not only can we provide you and your nearest and dearest entry into the world of glitz and glam, we can also set up the rest of your trip as well. We will plan a fabulously filled trip from beginning to end. We will make dinner reservations for you at the trendy restaurants with the right type cuisine you are looking for. 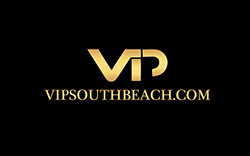 If you love to just show up in a city and have everything already reserved for you with your specific tastes in mind you need to give us a call at VIP South Beach. Getting dinner reservations at the newest hip place on the right night is impossible if you do not set it up before you arrive. We want to make your trip will be the one you will always remember. There is a South Beach Miami night club and trendy restaurant out there just waiting for you; we know just where that is, do you? Let us do all the planning for you and we will create the best nightlife game plan for an amazing time in South Beach.